Facts: Barack Obama lived in Indonesia for 4 years from age 6-10 with his mother and his stepfather Lolo Soetoro, an Indonesian national. Barack Obama visited Pakistan in 1981. Theory: Obama was adopted by his stepfather and naturalized as an Indonesian citizen and obtained an Indonesian passport. Because Pakistan was off limits to Americans in 1980, Obama must have used an Indonesian passport. The story of the travel ban for US Citizens to Pakistan seems to be an urban legend. There is a contemporary article in the New York Times of an American reporter traveling from India to Pakistan in mid 1981. Good rail service also connects Lahore with other major Pakistani centers. It is possible to cross from India to Pakistan by train from Amritsar and Delhi, but border procedures can be long and complicated. A road crossing at Wagah is also open for a few daylight hours. Check schedules, and allow several extra hours for border formalities. Because Pakistan is an Islamic nation, most tourist attractions and all mosques are closed to visitors on Fridays. The Pakistan Tourism Development Corporation (with an office in the Faletti’s Hotel complex and information publications available at major hotels) maintains up-to-date lists on museum opening hours, as well as on city tours. It doesn’t sound at all scary or hostile to Americans. As has been widely published, Indonesia does not allow dual citizenship. Because US Law prevents a US child from renouncing his citizenship (and his parents could not do it for him), Barack Obama could not have become an Indonesian citizen, since this would have created an illegal dual citizenship. This prohibition is stated specifically in Indonesian law (Indonesian Naturalization Law). 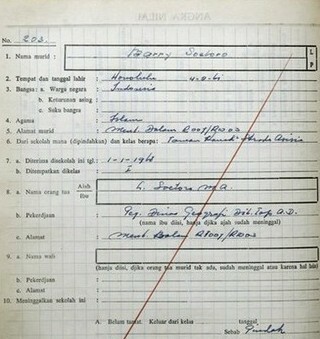 Conclusion: It impossible that Barack Obama became an Indonesian citizen as a child, the school record notwithstanding. If Indonesia had granted Barack Obama Indonesian citizenship, in error, under United States law he would have been a dual citizen. The Supreme Court said that becoming a dual citizen does not remove the natural born status of a US Citizen. And the mere fact that the plaintiff [Elg] may have acquired Swedish citizenship by virtue of the operation of Swedish law on the resumption of that citizenship by her parents does not compel the conclusion that she has lost her own citizenship acquired under our law…. About his passport, in “Dreams from My Father,” chap. 3, Obama says this about reentry into the US from Indonesia: “…the customs official tapped me on the shoulder and asked me if I was an American. I nodded and handed him my passport.” This suggests that he had a US passport at age 10, when he returned to Hawaii from Indonesia. This statement contradicts claims that Obama’s first US passport was obtained as a US Senator. Obama is a competent witness of his own claim. The contrary view has no witness or documentation. I appreciate you posting this. I am a right-wing conservative Christian who did not vote for Obama (or McCain for that matter), but that doesn’t mean that I don’t believe the man is an American or has the right to govern this country. I appreciate truth wherever it is found and I quoted a sentence above on Glenn Beck’s 912Project site (http://theglennbeck912project.com/vent-5/#IDComment20995458). What you stated so succinctly above concurs with all of the information that I verified from the web. I would also mention that he was registered at the exclusive private Punahou school as “Barry Obama” as further evidence that his name was never legally changed to Soetoro. Veritas101, as a Christian, I’m sure you know what Jesus said about truth. The corollary to that is that lies make us slaves. I hadn’t seen the video from the Inside Edition story on Obama’s youth in Jarkarta. They showed the St. Francis Assisi registration and said that school officials told IE that it was a matter of routine to put Obama’s step-father’s religion and nationality. Any idea if that is referenced anywhere else?